The Xiaomi Mi Robot was the gadget par excellence in 2017 and continues to be unbeatable in terms of value for money. 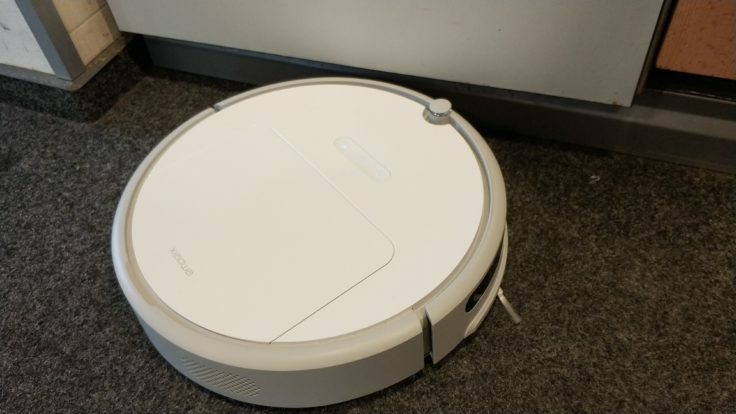 Its successor, the RoboRock Sweep One, is currently setting new standards for vacuum robots. Now Xiaomi is launching the Xiaowa Vacuum Robot Youth Edition, a household robot that is aimed at end customers with a smaller budget. We tested it. 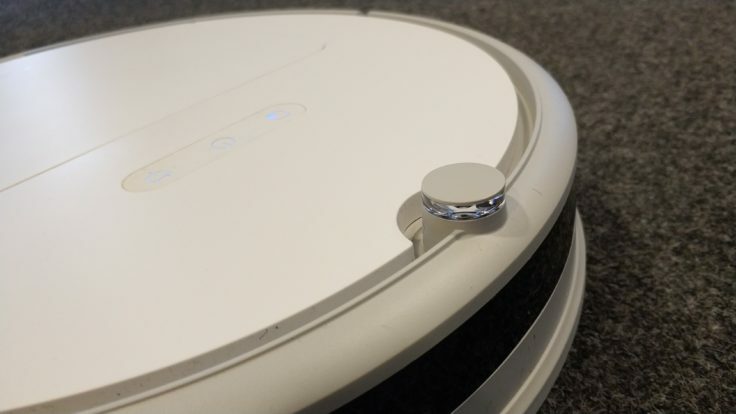 The hype surrounding the two Xiaomi vacuum robots is great, and many people are currently considering using RoboRock. With it’s current price however, it is still above the pain threshold of many potential customers. The Chinese tech giant Xiaomi, whose product range has meanwhile become enormous, is reacting to precisely this target group with the Xiaowa Youth Edition. 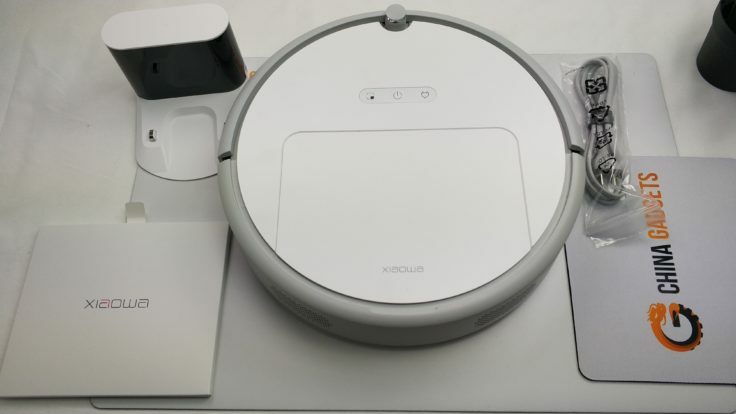 The vacuum robot (as the product name suggests) was produced by Xiaomi’s subsidiary Xiaowa. Minimalist design: The accessories of the Xiaowa. The individual package contents are all very valuable and well processed. No plastic smell could be detected while unpacking. Unfortunately, only a single HEPA filter is supplied, which is already located near the dust chamber. This is washable. The accessories for the new Xiaomi vacuum cleaner are not much, but absolutely sufficient. Practical: The brush heads and the HEPA filter are compatible with the other models. So you don’t have to buy new spare parts if you already have one of your predecessors in service. In the front on the upper side are the three control elements already known to us from RoboRock. In the middle is the power button, via which the Xiaowa Vacuum Robot Youth Edition is switched on, started and stopped. That’s handy if you’re not a fan of app control. To the left is the button that triggers the Mini Room Work mode. As a result, the Xiaowa only vacuums the area in which it is currently located within a certain radius. This is useful if you have a corner in your home that likes to get dirty more than other corners – for example, where the dog is always lying or the like. The controls of the RoboRock (left) compared to the Xiaowa (right). 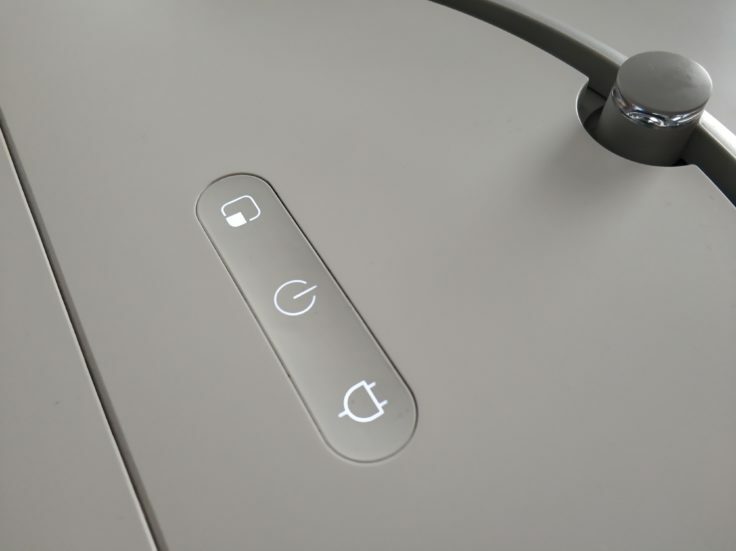 To the right of the power button is the button with a charging cable symbol. A pressure at this point sends the vacuum robot back to the charging station to recharge the battery. When it comes to design, Xiaomi can only be congratulated here once again (for the hundredth time). 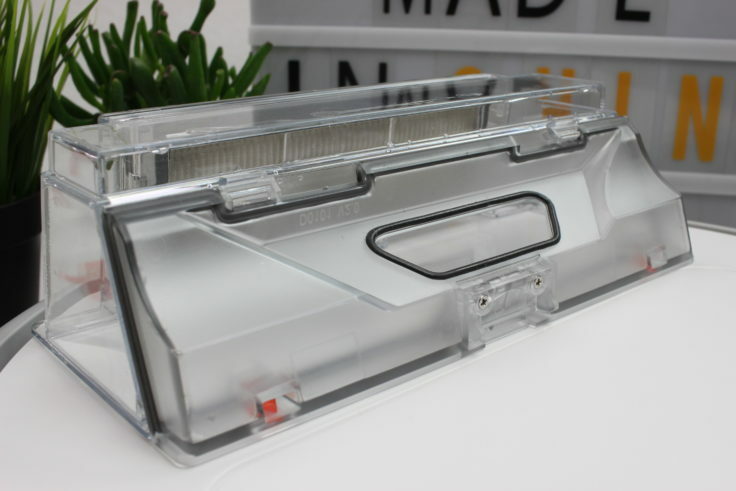 Everything is kept in simple white-grey, the individual controls and also the infrared sensor in the front are of very high quality and – I hope you forgive me the euphoria – are really fun to touch. Nothing wobbles (except the bumper in front, which has to wobble) and the processed plastic is definitely not the cheapest material. The controls of the Xiaowa are not only beautiful to look at, but also practical. 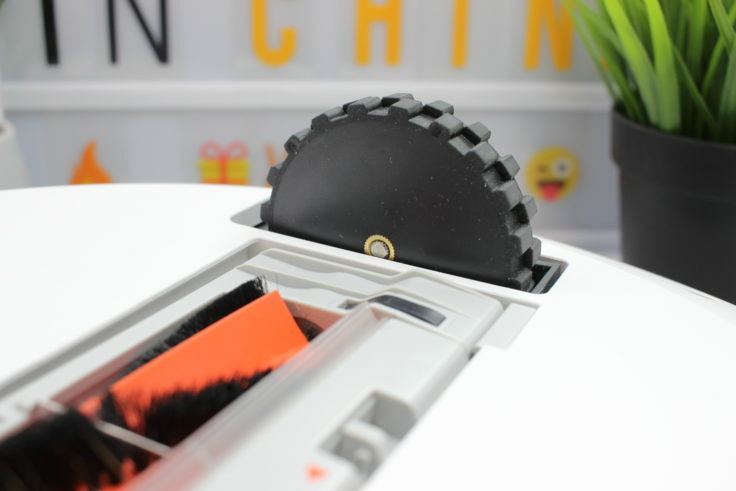 The underside of the Xiaowa Vacuum Robot Youth Edition does not differ at all from that of its predecessors (except in its dimensions): Again a brush head works here, two large tyres ensure that the Xiaowa can overcome obstacles such as carpet edges or door thresholds. It even reaches heights of up to 2 cm, which means that most small obstacles are no problem for the vacuum robot. Like its predecessors equipped with large tyres, the vacuum robot can overcome obstacles of up to 2 cm. In the front there is a small roll and the practical middle brush is also included. As the saying goes: Never stop a running system. The underside is the same for all three Xiaomi models. Measuring 35.3 x 35.0 x 9.0 cm and weighing 3.0 kg, the vacuum robot is also as high and heavy as its predecessors. The vacuum robot starts its work from the charging station and it also returns there when the battery runs out to charge it. After a charging time of only 3 h (average: 5 h) the 2600 mAh battery is charged. The working time is 120 minutes, which is an average value for a vacuum robot. 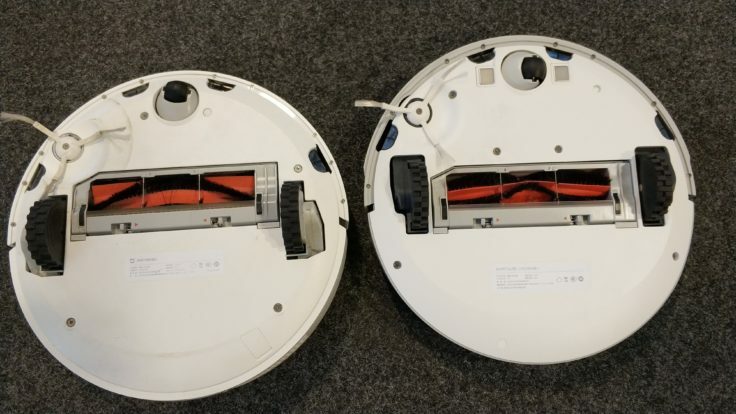 The charging station is visually congruent to that of the Xiaomi RoboRock, it is probably exactly the same charging station with a different sticker on the underside. The charging station is exactly the same as the RoboRock. Or do you see a difference? If the vacuum robot is docked to the charging station, firmware updates can be downloaded. Since the vacuum cleaner consumes a lot of battery power to download updates, these changes can only be made when the Xiaowa is at the station. For the Mi Robot there was only recently the update that it got the room layout (Zoned Cleanup) via update. So it can be pretty cool that updates are supported and developed here. The vacuum robot is ready for use for 120 minutes after a charging time of 3 hours. I don’t want to get carried away by a statement about how well the vacuum robot can find the station again. In the first attempts he quickly found the station again, but I will let him regulate this autonomously when I am on the road and the vacuum cleaner is working alone. As already described, the vacuum robot can also be used without an app. Accordingly, we also have to evaluate the suction power without app control. 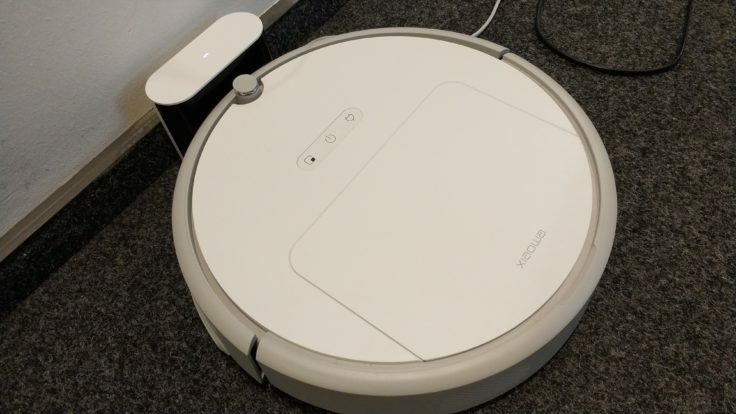 Although the vacuum robot is supposed to be a budget model, Xiaomi does not compromise on technology: the Xiaowa comes with a suction force of 1600 pa, and thus has only a slightly lower suction force than the Mi Robot (1800 pa) and the RoboRock (2000 pa). Despite the large number of vacuum robots we have tested in the meantime, it would still be the third strongest vacuum robot in terms of pure suction power. With a suction power of 1600 pa, the Xiaomi Xiaowa is also suitable for carpets. In the run-up, the rumor factory buzzed whether the sensor installed at the front was a gyro or an infrared sensor. My guess was with the infrared sensor after the first trips, and this should be confirmed. 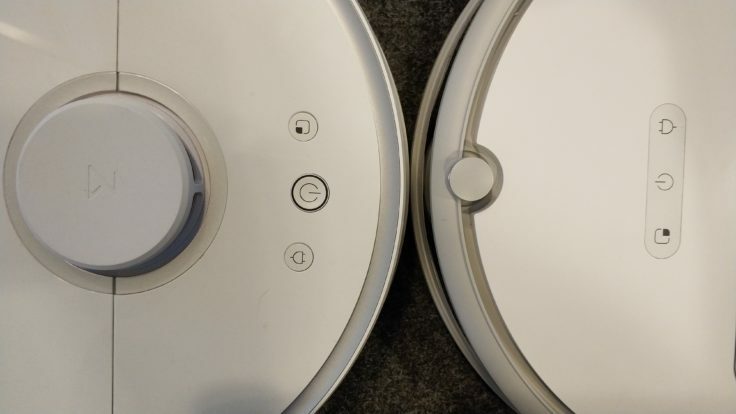 The vacuum robot finds its charging station via the small circular dome at the front and charges the battery accordingly as soon as the infrared sensor hears the contact. This is already known from a large number of vacuum robots. 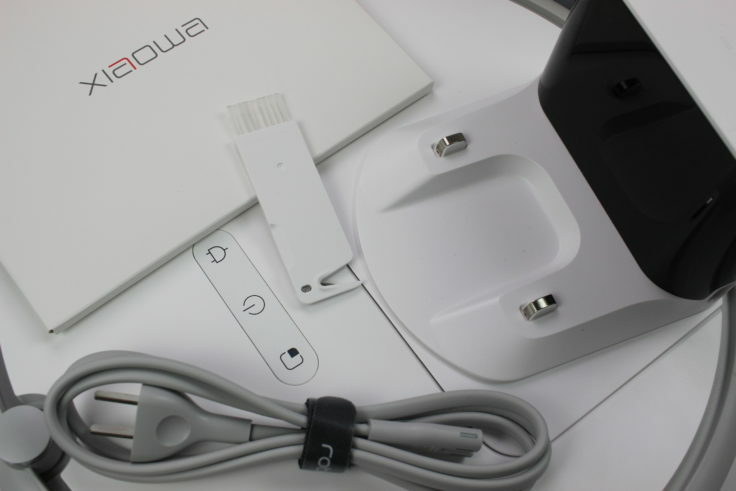 The Xiaowa recognizes its charging station via the built-in infrared sensor. The Xiaowa works according to the chaos principle that we know from the ILIFE models. This means that the room does not become less clean than with vacuum robots with room measurement, but the vacuum robot does not pass through the room and thus consumes more battery. In addition, there is a risk that surfaces will remain unvacuumed if the chaos principle does not work so well. The vacuum robot works according to the chaos principle, which is not bad with its good obstacle detection. The operating volume is 60 dB. This is not unusual with the appropriate suction power and corresponds approximately to the volume at which people talk to each other. 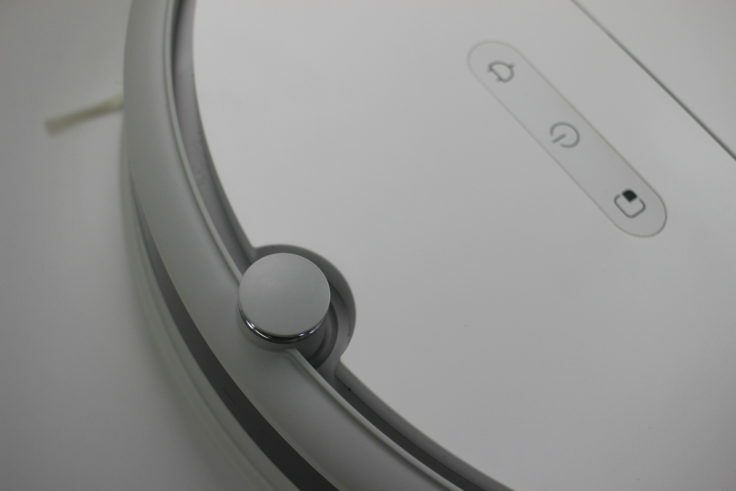 In the app, however, the suction power can also be adjusted, so you can select the “Silent Mode” and the vacuum robot reduces the volume to about 45 dB. However, this also reduces the suction power slightly. With a remaining battery power of 25%, the vacuum robot responds with the same Chinese voice that you already know from RoboRock. We have already introduced a whole range of flashlights with different LED chips. 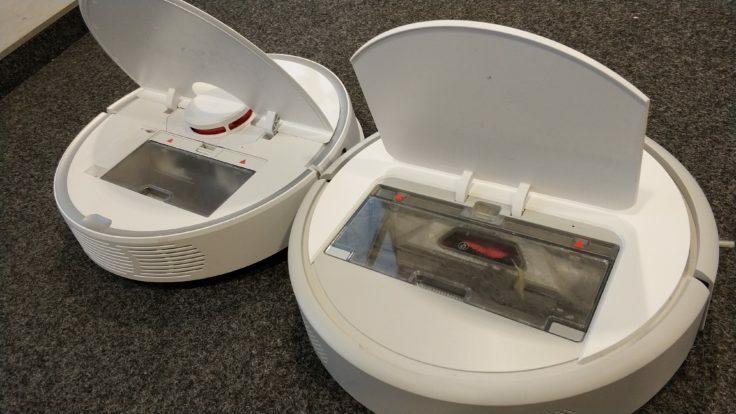 An advantage over his big brothers: The Xiaomi Xiaowa Youth Edition takes dust and dirt in a 640 ml dust chamber (comparison RoboRock: 0.48 l). This makes the vacuum robot also suitable for large rooms. The dust chamber is much bigger, under the flap there are hardly any optical differences to the RoboRock. Dust allergy sufferers like myself are pleased with the HEPA filter that can be used at the dust chamber. 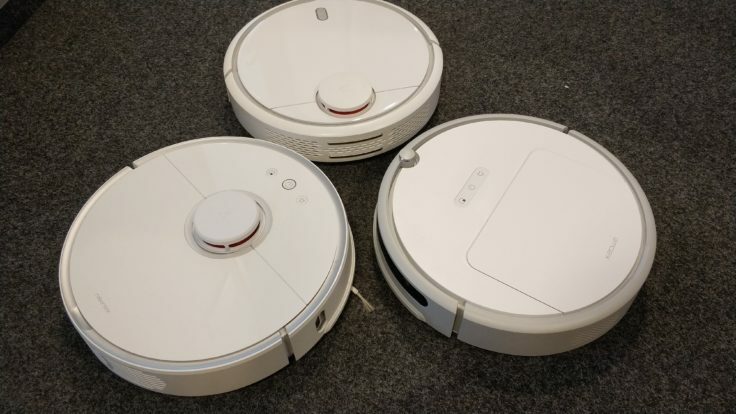 Since the Xiaomi vacuum robots are so similar in construction, the HEPA filters from the previous models can also be used in the Xiaowa. With 640 ml the dust chamber is really large and rarely has to be emptied. On the underside alone there are ten different sensors that the vacuum robot can use to detect obstacles. The Xiaowa works according to the chaos principle, but recognizes obstacles before an approaching collision at an early stage and drives them off in round movements. In addition it goes very close to it (docks now and then easily) and recognizes also, where walls lead along. It then switches to the wall mode and moves down the walls in a targeted manner. Excellent. The obstacle detection is exemplary with the Xiaowa. The Xiaowa does not recognize obstacles up to 2 cm as an obstacle, which makes it have to turn around, but rather as an obstacle to overcome. This should prove true in the test: Obstacles up to 2 cm are no problem, so door thresholds are no problem in most households. Especially the handling with table and chair legs is to be emphasized, this he drives off very round – until he really is the whole leg abgefahren. The room can be delimited by a virtual wall or magnetic tape. We will test this at this point and extend the article accordingly. The same applies to the performance on carpet. 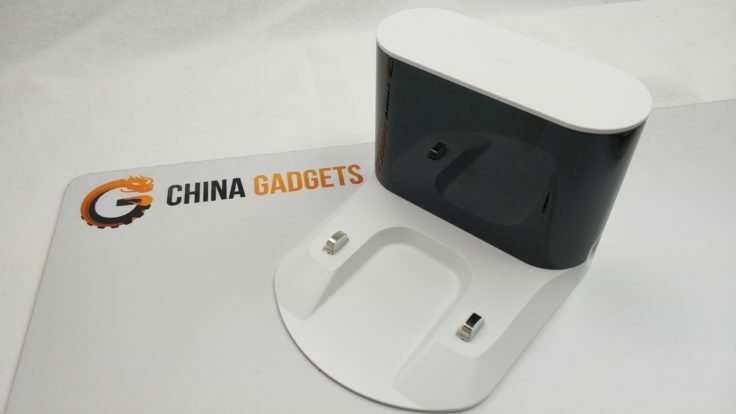 Like its predecessors, the Xiaowa will be integrated into the Xiaomis smart home universe. The vacuum robot can be controlled via the Mi Home App (Android, iOS), which is already very familiar to us. After downloading the app you have to register by mail (spam mail address is also possible) and set a password. The app then queries the region in which you are. Normally you choose your region here, but since the Xiaowa is just on the market, you have to choose “Mainland China” for full functionality. Don’t worry, the language can be changed to English. 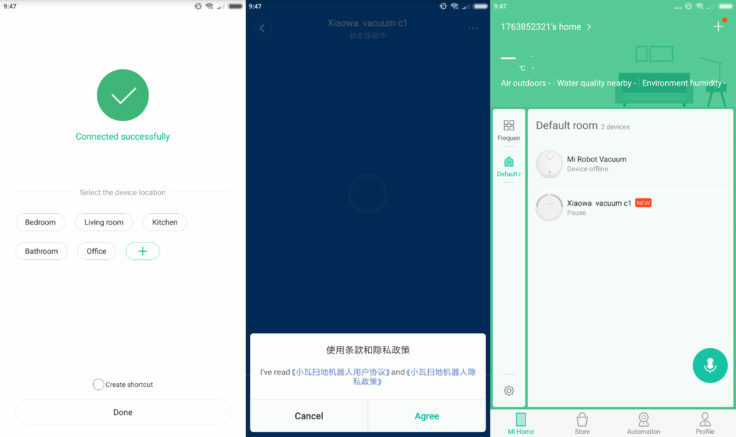 The app then automatically recognizes the Xiaowa and informs you via push notification that the connection can be established. To do this, however, the vacuum robot must be switched on and the Wifi light under the flap (near the dust chamber) must light up. 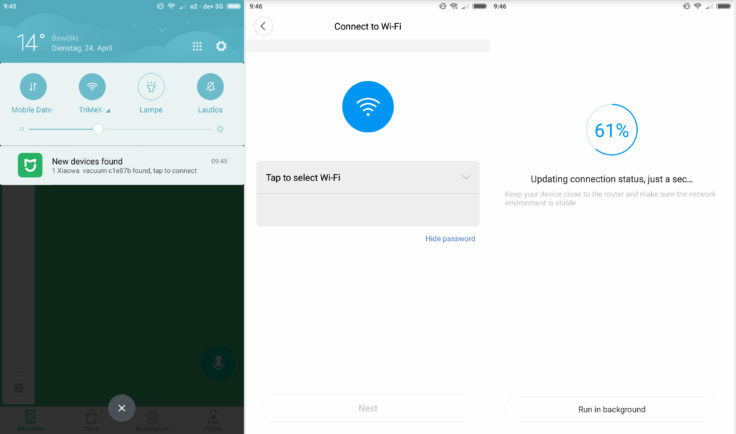 Then select the WLAN in the app and enter the corresponding password. It takes a few seconds to connect. The vacuum robot is ready for use. 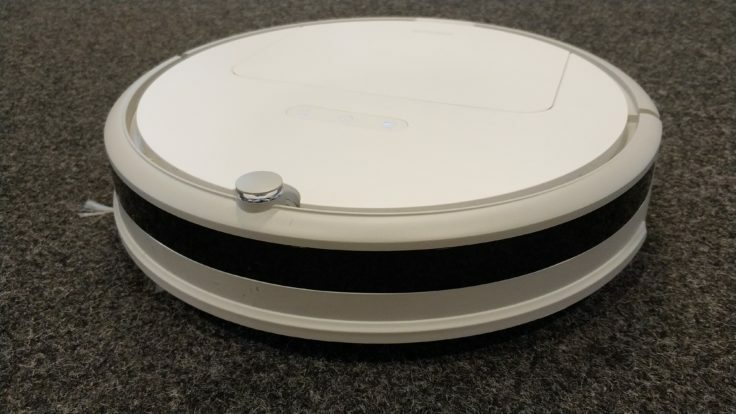 The vacuum robot is automatically found, set to WLAN and connected. Before the first start, I recommend setting the desired suction power (Normal, Strong, Max, Silent). The selectable cleaning modes are Spot (rotates around itself in ever-increasing circles) and Wall/Edge (vacuum sweeps down walls). The vacuum robot can be connected and controlled via Mi Home App. The Mi Home App is getting bigger and bigger and more innovative with each new model. After a little browsing I arrived at the adjustable carpet recognition. Here you can choose whether the vacuum robot should recognize carpets underneath it and increase the suction power accordingly. I wasn’t able to test this intensively yet, but the first attempts looked good. He recognized the carpet and increased the suction power. The volume at which the vacuum robot reports to its owner (in Chinese) can also be made quieter, louder and completely quiet (fortunately). The Mi Home App has a lot of features, surprisingly even carpet recognition. 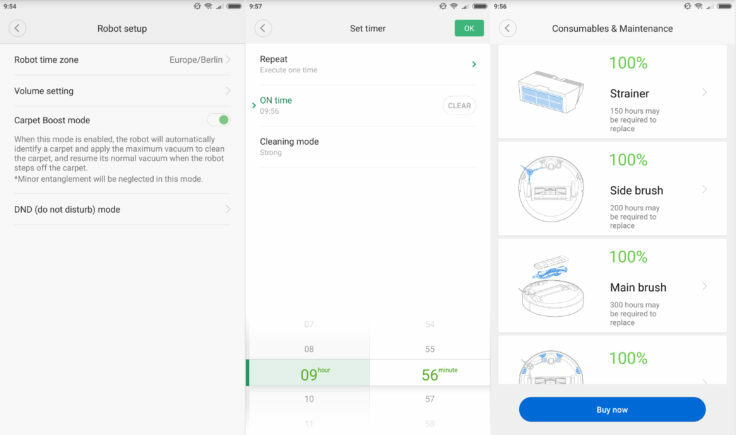 The app can be used to schedule the working hours of the vacuum robot, for example every Monday, every weekend or every day at a specific time. This works simply by swipe movement and is really simple to implement. 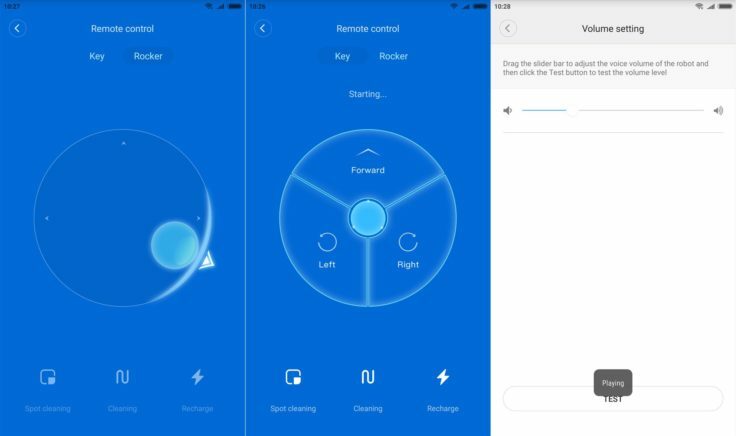 There is also a remote control in the app that can be used to control the Xiaowa. The vacuum robot can be steered more precisely via the remote control in the app. With the large number of vacuum robots, it is no longer easy to keep track of things. Therefore you have here the direct, purely technical comparison to his older brothers. The three Xiaomi teats look very similar, but the technical data is noticeably different. The Xiaowa Vacuum Robot Youth Edition provides good obstacle detection for a vacuum robot without room measurement; the suction power and processing are also impressive. The integration into the app brings more functions, but outside of the remote control and the scheduling of the start times, the app does not make much sense with this model. The big question that arises If the vacuum robot remains in the price range, why not add $50 to buy the Mi Robot with room measurement? The answer: You should invest that. The Mi Robot has a lot of additional features that justify the extra charge. What do you think of the new Xiaomi vacuum robot? That sounds awesome! A 100 bucks Xiaomi vacuum is a no-brainer for me. Will order one for the basement and the second floor as soon as it’s available. @Joan: Roughly $160, but still. Seems like a no-brainer for us, as well. just bought the xiaowa and can’t find any english manal online. Do you know if in the meantime someone made a english manual? you’re right that there is no one to find in the web, but check out the manuals for the new models E20/E35. These models are nearly built in the same way and may help you.